This corner has looked mostly the same as long as I can remember. 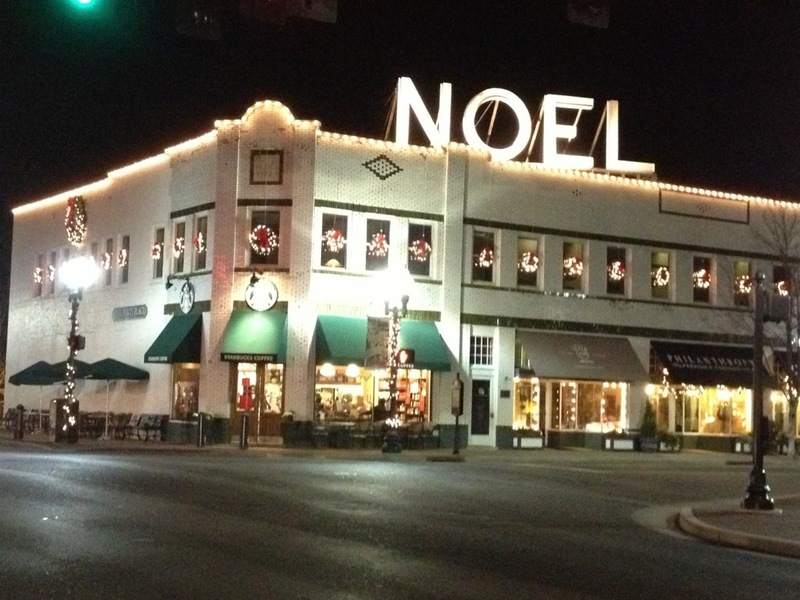 The Noel sign shines bright every year! Starbucks is there now, but it was a drugstore when I was growing up here. I call it a comfortable Tennessee Christmas. And yes, Amy Grant’s Tennessee Christmas is my favorite Christmas song. Merry Christmas all!! This entry was posted in Franklin TN Information, Things to do in Franklin TN and tagged Dickens of a Christmas, Franklin TN information, Franklin TN real estate. Bookmark the permalink.